Just 5 minutes from Fall River and Taunton, and 15 minutes from New Bedford, Freetown State Forest is a vast tract of public land acquired over a twenty year period beginning in the 1930's. Near the main entrance is a day use area, with wading pool, picnic area, fields and restrooms. 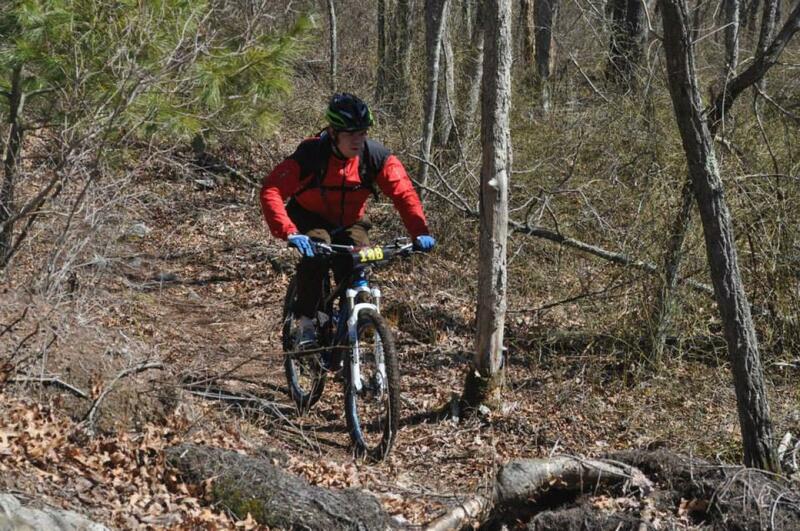 The remainder of the forest offers 50 miles of unpaved roads and trails. Horseback riders, dog Sledders, mountain bikers, and seasonal motorcycle and snowmobile users are welcome, as are hunters and anglers in season. Rattlesnake Brook, which meanders throughout much of the property, is stocked with brook trout each spring. Profile Rock, a 50-foot outcropping, shows a profile of what the Wampanoags believe to be Chief Massasoit. The 5,441-acre Forest also includes the 227-acre Watuppa Reservation, which belongs to the Wampanoag Nation, and is the site of annual tribal meetings. Review: more on the other side of the main forest in copocut woods off of indian town rd. is mostly fire road and a few singletrack hear and there. lots to look at and a few of the trails are marked. Review: Rode these trails on the Freetown Challenge race in September 2015 (11 mile category). Mostly technical XC riding, not too many uphill/down sections, but LOTS of rocks, roots and some sandy bits on the singletracks. This is quite technical riding, less experienced riders might need to push their bikes through some sections. That being said, if you're out for a challenging XC ride this should be right up your alley. Some trails such as 'little Africa' and 'demotivator' are fun to ride and offer a beautiful scenery to boot. Review: I did a short race here early in the season. As such, the trail was a bit of a mess. It was pretty dry for the most part, but there had been rain recently and there were some fairly sizable puddles. Other than the drainage issues, most of the rocks were a good size to provide enough of a challenge but not to throw me over the bars too many times. Some good rolling track in places, not too many tough climbs, overall a fun ride. Review: I agree with some of these reviews to a point. It all depends on where you ride. If you park off of the dirt road on High st. You can bike up around Ledge Rd. When you reach the top you'll be looking at rocks and an open view...this is the Assonet Ledge that is said to be haunted. I personally felt a little nausea. So I decided to go even further up "which is pretty difficult for a climb, but I guess it's worth it. Then it goes downhill to the bottom of the ledge. 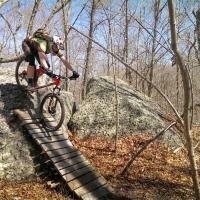 If your looking for more trails DAMN there is a ton off of both Upper Ledge Rd and Lower. Just be careful of dirt bikes because they're out there! Also the trails could be a bit messy in some locations from the motor bikes, not fun in this sense. Freetown State Forest (Bent Rim Trail) MTB Trail 2.80 out of 5 based on 5 ratings. 5 user reviews.